New shoes and back to school go hand in hand for me. I remember with such happiness going to Stride Rite with my mom at the end of every summer to pick out new shoes. I can vividly see the store if I close my eyes. Mr. Seymour would be our guy – we’d wait for him if he was busy (in fact – I think he took care of my mom’s feet when she was little too). There was a little play area to keep me occupied, a mural on the wall, shelves upon shelves of shoes and that little inclined bench that he would sit on to measure my foot, put on the new shoe, and tie it up. I cannot remember what I ate for breakfast today but I remember every aspect of this as clear as day. When my daughter started walking I wanted to continue in the Stride Rite wearing family tradition. Poor Mr. Seymour would have been about 150 by this time, and the original location we patronized was closed, but luckily there was another location not too far away. 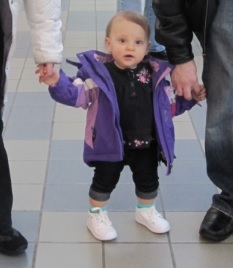 I was so excited to walk my little baby in holding her hand for a proper fitting (that is why you go to Stride Rite – the sales people are properly trained to fit your child – and their knowledge on the product always impresses me. You feel like you are buying a shoe from someone selling you the correct shoe – not just any shoe). With pride my mom bought my twelve month old daughter her first pair of Stride Rite shoes – the Stride Rite SRT Emilia (oh shoot – I’m crying). It was so much fun seeing my baby toddle around in these little white shoes. 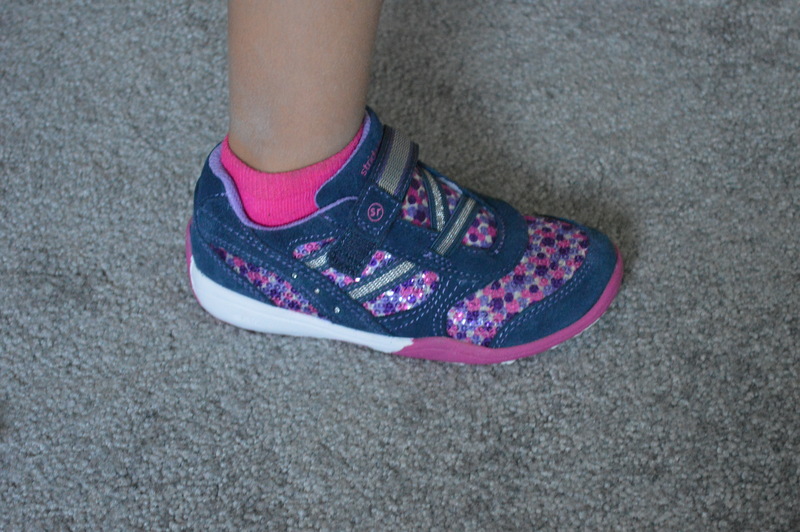 As her foot grew we tried all of Stride Rite‘s different styles of sneakers and when each summer rolled around we bought her the new version of the amphibious Liddie and the dressier Hazel sandals. Both closed toed. Both adorable. Both shoes she could eventually put on herself. I will only buy shoes for her at Stride Rite. I think it is so important to have a good supportive shoe for my incredibly active kid to wear. My strategy each season is to stock up when they have a good sale – which luckily coincides with when she needs new shoes! For example – from now until September 2nd Stride Rite’s Back to School Buy One Get One 40% off sale is running (with lots of support, no less – ha ha). You can imagine how excited I was when I got a sneak peek of the Stride Rite fall collection at the Momtrends Back to School Event a few months ago. I (uh – I mean my daughter) HAD to have the Stride Rite SRT Preschool Lydia. This specific style of shoe has been a favorite of ours and when I saw the updated version with the super jazzy purple and pink sequins – OMG, it was like the shoe design fairy made these with my daughter in mind. I love that this shoe is super girly and glitzy on top of an amazingly supportive sneaker. Very often you get the glitz or the support. In this shoe there was – say it with me – synergy. Or would it be Shoenrgy? (sorry). Her mouth dropped open when she opened the box. Immediately followed by “I love these shoes. They are amazing! I love them so much. Thank you Mama”. Happy mama, happy kid. What more do you need? Back to School shopping is so much fun. When you couple it with a product that not only means something to you from when you were younger, but also provides your child with a great foundation – or should I say footdation (again, sorry) you’ve got yourself an ace in the hole. As an added bonus if you have small feet like me then the “and Get One 40% off” can be for you… Oh you have cute shoes that are super supportive, fit perfectly, are cheaper in children’s sizes and I can buy them right here, right now? Sold. We call that “efficient shopping” in my house. Plus it doesn’t count if you buy shoes for yourself in a children’s store, right? If you use the $5 coupon on the receipt from completing the survey online and the coupon you get from accruing points from their Rewards program, it’s really like you are saving money by buying yourself shoes. 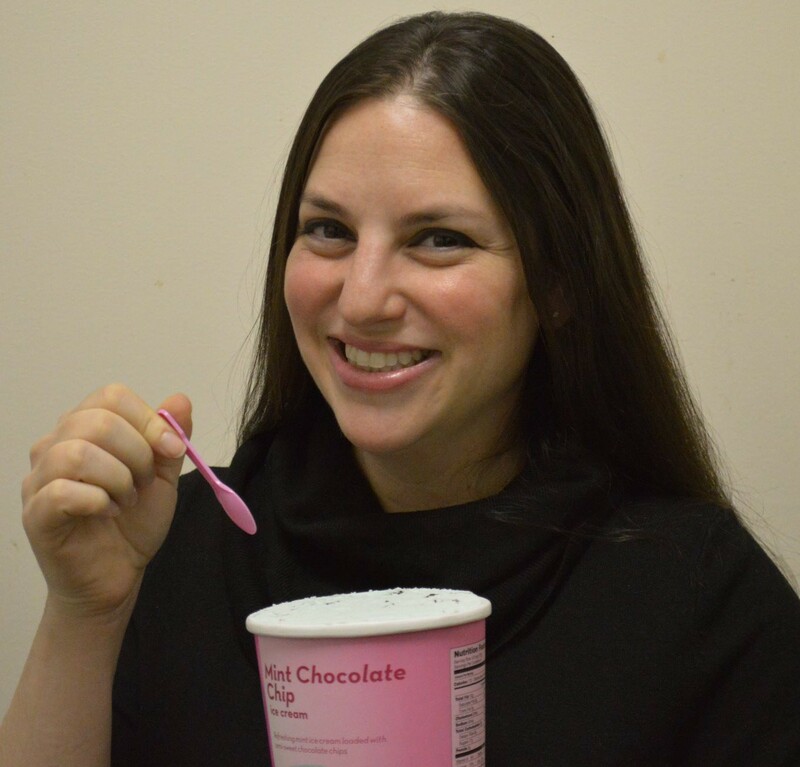 That’s like losing weight by eating ice cream. I want to live in that world. Thank you Stride Rite for not only introducing me to great shoes in 1979 but for staying true to your roots and being around 30+ years later so I can buy your shoes for my children. You have become one of my favorite things (and my mother’s and my daughter’s)! • Shoe shopping should always be done later in the afternoon or evening, since feet swell over the course of the day. • With the rate children outgrow shoes, it’s probably tempting to buy shoes that are too big, but shoes that are too big can cause a child to trip and develop footproblems. • It’s recommended to switch between at least two pairs of shoes to avoid wear and tear and maintain support – they will last longer. • As adults, we often say we’re “breaking in” a pair of shoes – this is not smart for anyone, especially for kids. Shoes need to be immediately comfortable – don’t allow for a breaking in period or expect shoes to get more comfortable over time – they need to fit and feel good now. • Hand me downs might save money but they are not good for your kids feet. Old shoes lose support from wear and tear and sharing shoes can spread foot and nail fungus. It’s best to start off each season with a new pair of comfortable shoes in their new and right size. 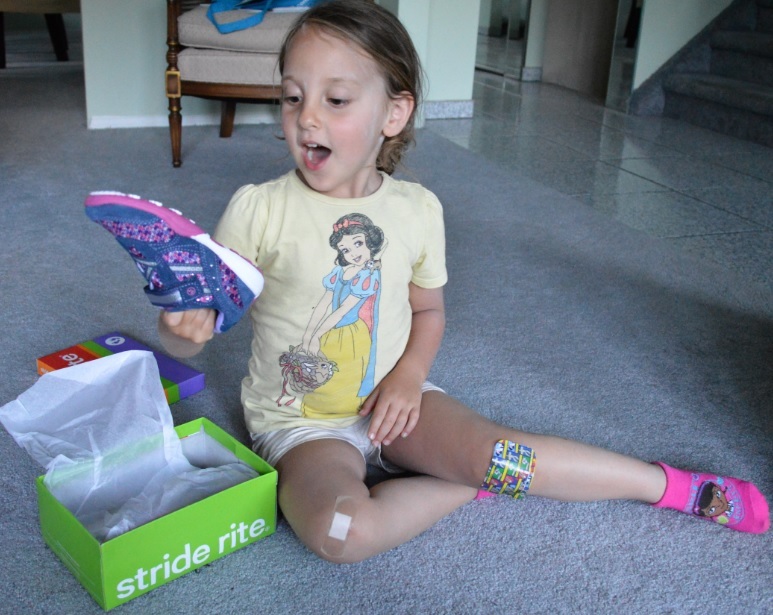 *GIVEAWAY* Stride Rite has offered to give away a pair of shoes to one lucky reader! What is your favorite shoe buying experience? Did you save up for a pair of red bottomed fancy heels, or do you remember your back to school shoe ritual like me? Winner will be chosen Thursday, August 28th. My favorite shoe buying experience for for my son’s first pair. He was a ridiculously early walker so we had to go get itty bitty shoes. Once they were on his feet he stood like he was cemented down! But he got used to them, and now looks forward to each new pair of shoes! It would have to be when I bought my beloved Dr Martens round toe dark brown boots. They were way out of my budget, but I had just moved to London to study and knew I needed a reliable shoe for keeping dry when it rained (almost always, as I remember). They went with me on all my trips, and I was really sorry when more than a decade later they were so worn I couldn’t keep using them anymore. They were not the prettiest shoes I’ve ever had, but they’re the ones I’ve loved the most. My favorite shoe buying experiences was also buying all of my kids their first pair of shoes. When the time came to buy my oldest son his first pair of shoes, I decided I needed to do it that day and it couldn’t wait another minute. My husband and I loaded my son and all of the stuff I toted around as a first time mom into the car on a hot summer day, turned the key in the ignition and nothing- the battery was dead. We had the car jump started and I insisted we still go to Stride Rite for shoes. My husband dropped us off and drove around while I shopped because he was afraid if he parked the car it wouldn’t start again. Despite the minor bump in the road my son got his first pair of shoes (and my husband got a new car battery). When it was time to buy my younger children their first pairs of shoes (twins) I was once again very excited. We loaded my crew up and went back to Stride Rite. I asked for the most sparkly, girly pair of shoes they had for a baby girl and the flashiest pair they had for a baby boy. While I was at it, I got another pair for my big boy and everyone left wearing their new kicks. My mom is a total shoe fiend… it is totally out of control. So my favorite place to go shoe-shopping is her closet, as I am usually a 1/2 size smaller than she is, and anything she buys that she later decides is too small or too tight ends up being mine! I remember when my mom finally allowed me to pick out my own shoes. It was one of the greatest freedoms, but it was all downhill from there. Recently though I’ve been kicking around in the same pair of flip flops and just going nuts buying my son a ton of cute shoes! I’m have a serious shoe fetish which is now being shared by my 8 year old daughter…whenever I buy her a new pair of shoes, I tell her a story about when I bought my first pair of glittery shoes or black shoes or neon shoes or high heels or my wedding shoes…and she loves to hear the stories and I can never say no to whatever pair of shoes she wants. 🙂 Whenever I travel, I look for shoes that no one else will have…and if I buy myself a pair, I always buy my little girl a pair too. The best were these amazing high heels for little girls…which were actually authentic flamenco shoes made by Penelope Chilvers…I bought them for my daughter Molly in every color…in every size from 24 to 30….and only found them at this one store in London in Notting Hill…every year I would call the store and have them shipped to me or ask a friend to pick them up and bring them to NY. I took my daughter to London this past Spring back to the store to buy the shoes in the next size…and found out, much to our dismay, that she didn’t make them for children anymore! We were both very sad…and then could not even find a single pair on EBay to buy. :(. We will save a pair of those shoes forever and ever. I have beautiful memories of my little girl in her high heel shoes…such a little diva! I used to love back to school shoe shopping! We would go to the Stride-Rite on 84th and 3rd, sign in and sit there blowing whistles. I now wonder why they gave those out – how could the salespeople stand it?! A more recent good memory was on my birthday last year. I decided to buy myself a pair of boots and found the perfect one in Cole Haan. Then I saw another pair, unlike what I usually wear, but they really appealed to me. So they came home with me too. Happy birthday to me! Thank you to everyone who commented. Jen – you win!